^^^^^ Columbas or Perfos I think they're called. 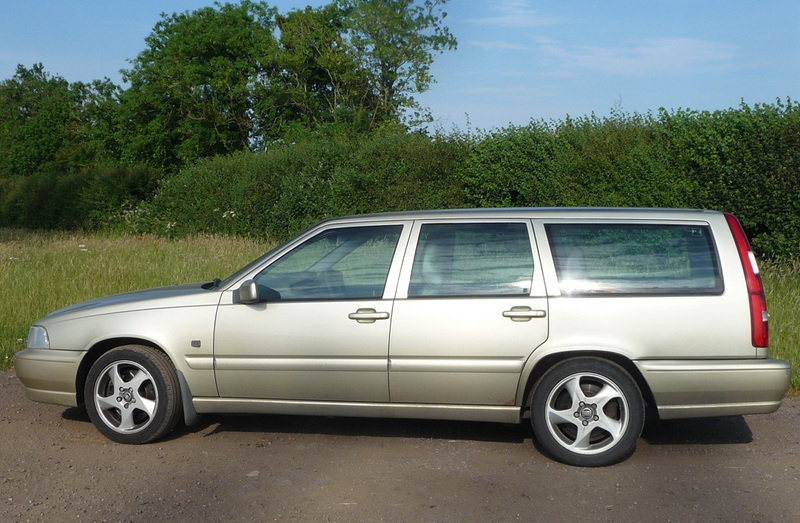 Mrs6C V70 T5, so when I fancy a change of wheels I can just grab them! You leave my wheels alone! I was outbid on a 740 GLE estate this morning! 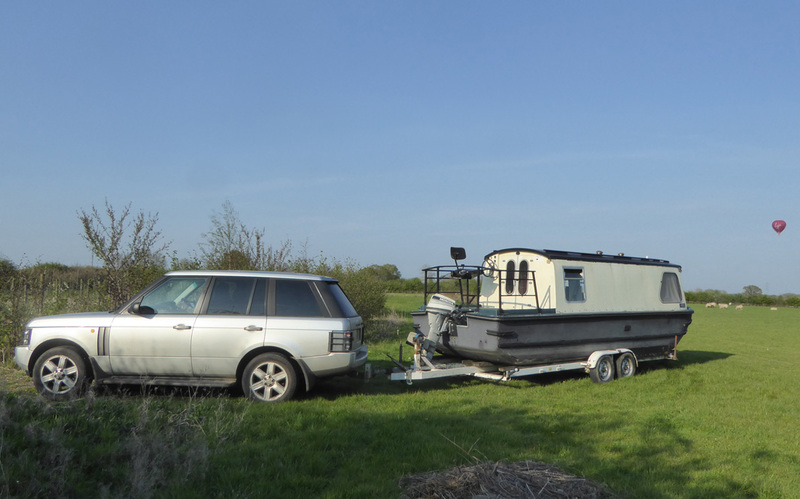 So having failed to win the Volvo 740 this morning, I went into the office for a sulk, but Mrs6C announced I was needed to move the boat later this afternoon so I had to dry my eyes and tough it out! 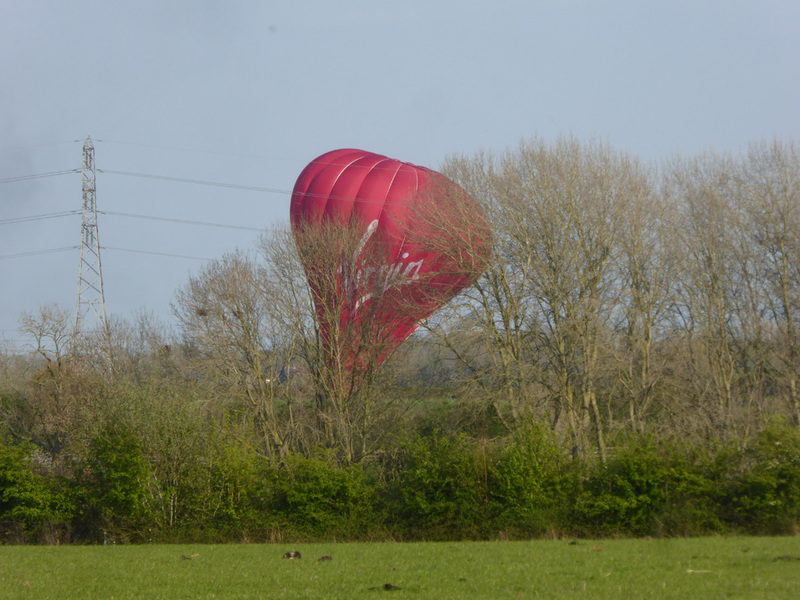 While moving the boat a Virgin balloon came over and landed two fields away or maybe it was shot down by the microlight. 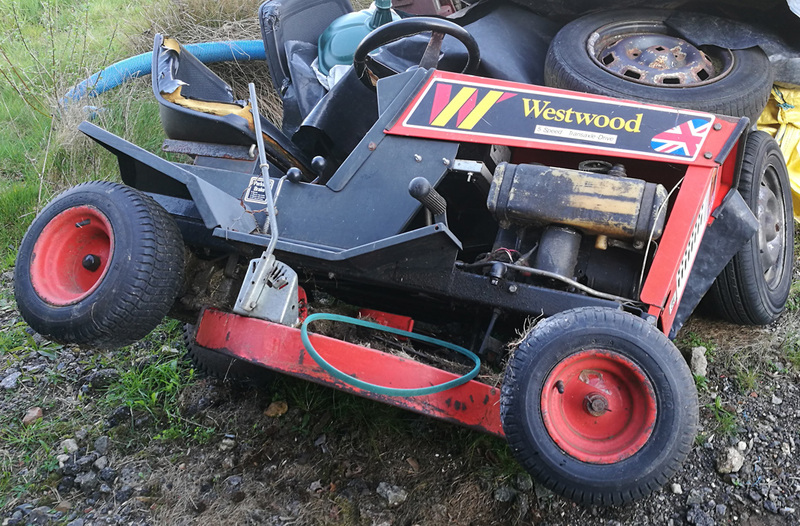 While at the field I thought I would see if our mower would start and it did then I remembered there was no drive belt for the cutting deck so I turned it on its side (not crashed) to fit a new belt. 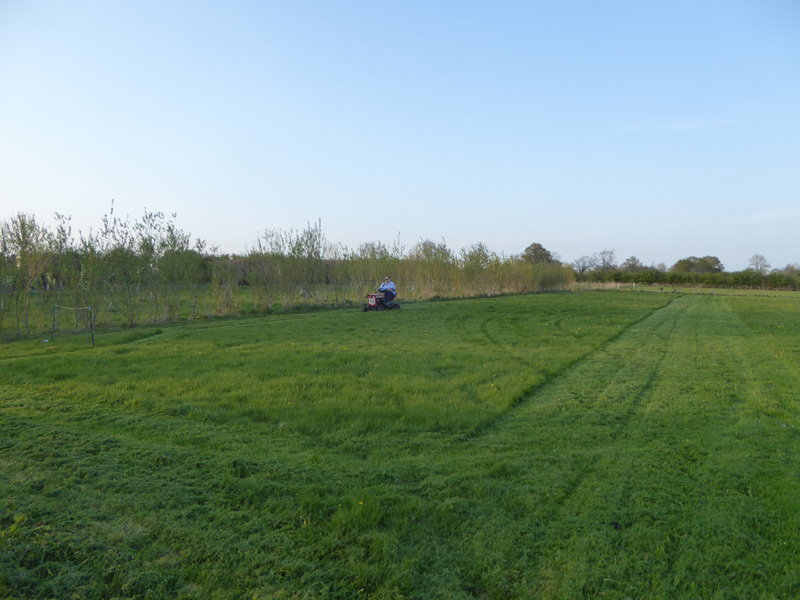 Then I had to start cutting my own grass as no Autoshiters appeared out of nowhere! 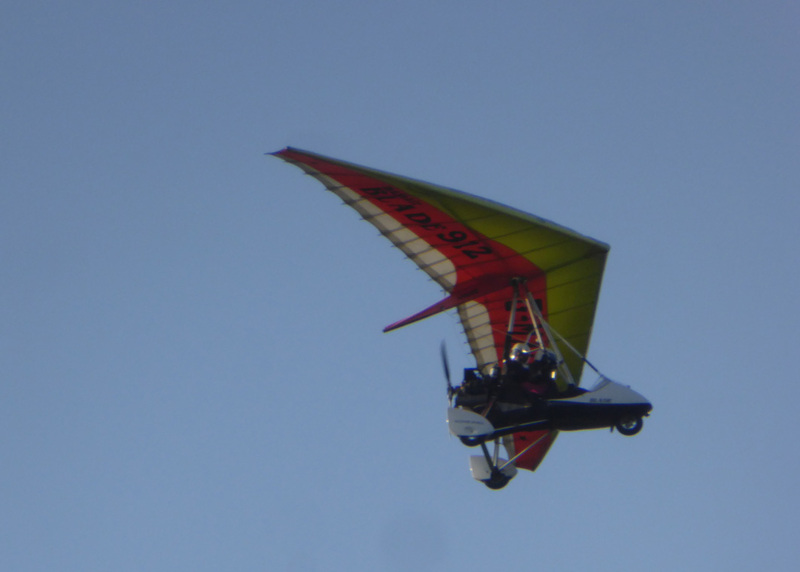 im pretty sure someone just bolted a propeller and a hand glider to a Sinclair C5 there! 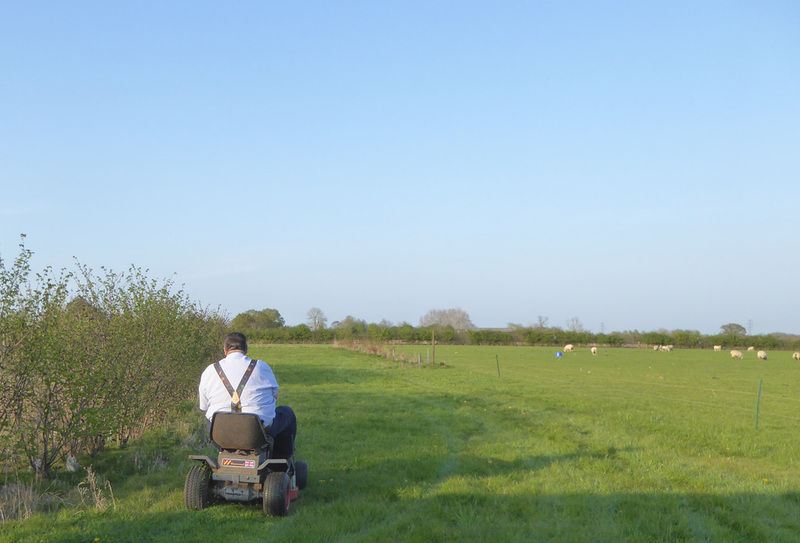 Jesus that's close to those pylons , innit? 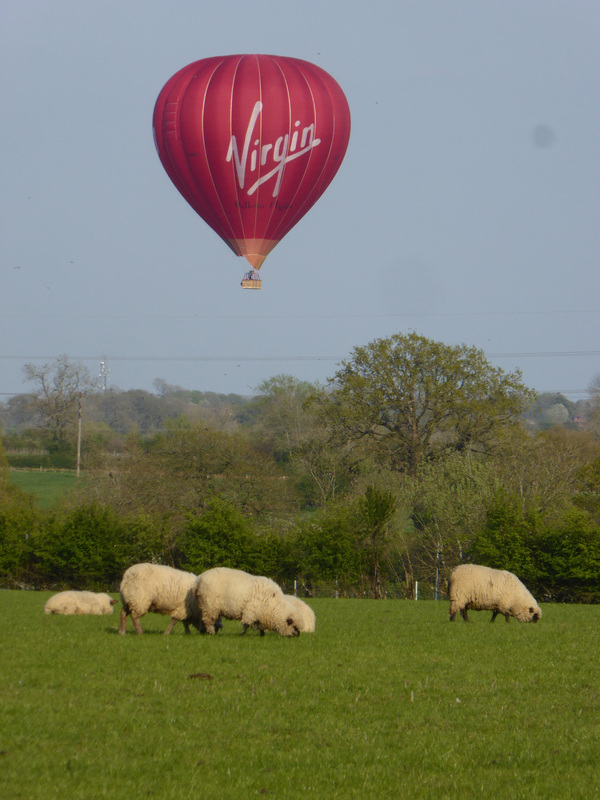 darn sheep fanciers dropping in like that ..should be outlawed ! Mrs6C was complaining the ZX had become a poor starter and this was the first day after 3 weeks notice I could get a mech to change the glow plugs, easy throw him the keys he knows what he to doing nothing needed from me. Except he released the injector pipes so he did not damage anything and it would not bleed so I got the job of operating the key while he manually bleed the system. I needed my Vitesse from storage as it is Bicester Scramble on Sunday and I am booked on the TSSC stand. The only day my friend could help me this week was today, so I decided also I will get the BX ready to the front for next week when it is booked for service and MOT preparation work. I needed a choreographer to manage the event! Push E Type out of tight space it then started on its own battery and moves. GS started on its own battery just fine to move out of the way of the Metro. The Metro needed a jump but started fine. Finally we are at the back row and the BX, that started fine with a jump pack but even after 15 mins put nothing in the battery. reassembly is a reversal of the dismantling procedure, except the Vitesse has come home and the BX is at the front. 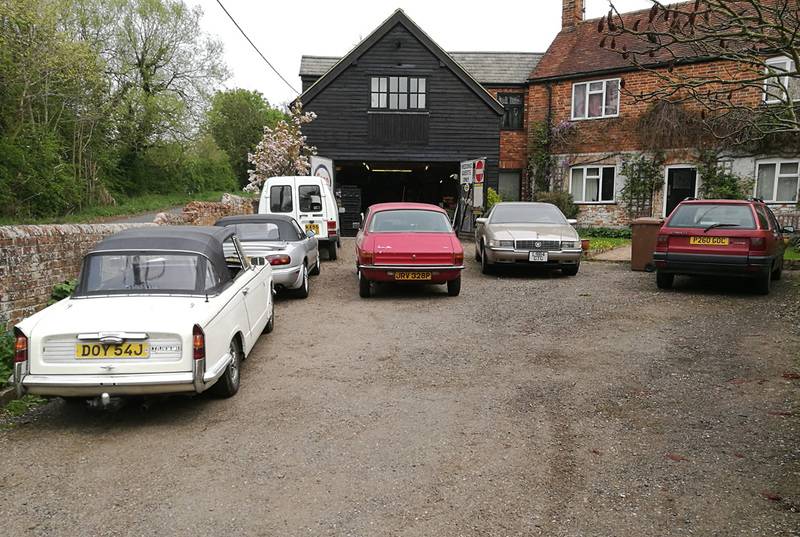 I got home and in view of the weather forecast decided to put the Vitesse in the garage, VP 1500 in the way and 2CV in the garage needed shoving up.